Keto Main Courses (20 Recipes): Stay Fuller Longer! If you’re new to the ketogenic lifestyle, it can be a little bit of an adjustment figuring out how to make keto friendly meals. Once you get a hang of it, it’s actually quite simple! All you need is a source of healthy fat and some clean protein. On top of that I like to add some kind of nutrient dense vegetable with plenty of herbs and spices. With that simple set of guidelines, It is easy to come up with all kinds of keto main courses! Below I have compounded a list of some of my favorite keto main courses. These are recipes that are not only keto, but are designed to support maximum health in the body. In addition to these keto breakfasts, side dishes, and desserts, these keto main courses will keep you full and energized. America is the home of meat and potatoes. We like to combine lots of protein, with lots of carbs. A large proportion of the population also still buys into the notion that fats and cholesterol are unhealthy. This kind of eating pattern is actually somewhat common around the world. Because they are cheap and convenient, every meal seems to be accompanied by some kind of grain or starch as the primary filler. The problem is this fullness doesn’t last because the body isn’t getting what it really wants, healthy fats. Switching out those grains and starches with healthy fats is one of the first things necessary to get the body on a path towards optimal health. Then taking the body and reteaching it to burn fat as a primary energy source can be powerful. The vast majority of people following a standard American diet are dealing with some kind of blood sugar imbalance. Blood sugar imbalance leads to fluctuating energy levels, imbalanced mood, and chronic inflammation. 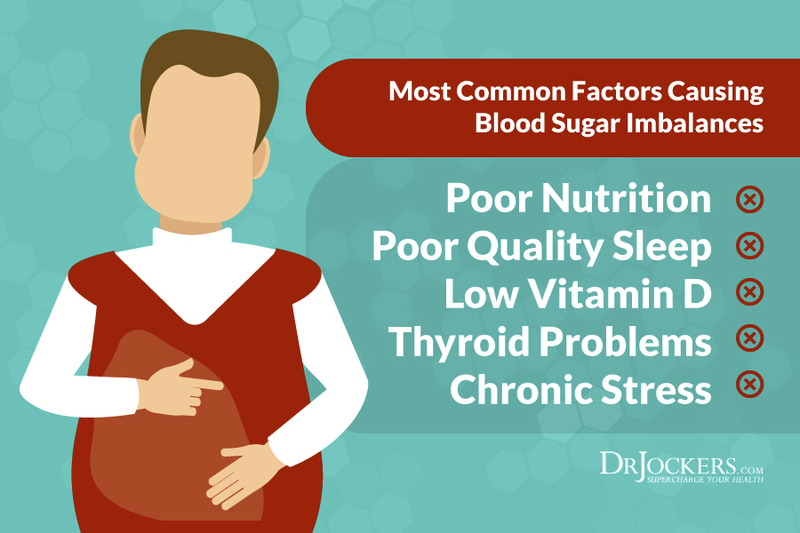 These chronic blood sugar instability patterns often occur several years before things like diabetes develop. Lowering carb intake is the first step to regaining stable blood sugar. Next, training the body to burn fat as a primary energy source has massive benefits for the body. Especially engaging in a 30 day keto metabolic reset is super powerful for jumpstarting the metabolism and quickly lowering inflammation in the body. The difference between the way that I teach a ketogenic diet and a lot of others is that I place a high emphasis on the quality of the ingredients that you are putting into your body. Many resources advocate for the consumption of processed meats, cheeses, and other foods that are actually very inflammatory for many people. To me, one of the profound benefits of the ketogenic diet is that it drastically cuts down on inflammation if done correctly. This is likely one of the primary reasons many people feel so much better while following one. If you are consuming foods that are inflaming, however, this could massively stifle your progress. The keto main courses listed below are some of the most healing recipes in the ketogenic community. They are full of nutrients and anti-inflammatory benefits. If you are new to ketogenic lifestyle, there are a number of benefits you should be aware of. First and foremost, the ketogenic diet helps to rebalance blood sugar and reteach the body how to burn fat for energy. This is amazing because fats provide more energy with less metabolic waste. They are literally, cleaner burning fuel. This cuts down on inflammation throughout the body, allowing cells to perform functions more efficiently. This may be why low-carb nutrition plans consistently outperform low-fat diets in measures of metabolic diseases (1, 2). When you are designing keto main courses, there are only a few simple guidelines which I have touched upon briefly already. First, the primary source of calories for each meal should be healthy fats. As you’ll see, my ketogenic food pyramid has healthy fats as the base. Don’t eat a meal without fats! Next, each meal should consist of roughly 20-30 grams of protein. I like to stick to clean protein sources like pastured meats, eggs, and bone broth. To help determine your ideal protein intake, check out this article here: How Much Protein Should You Consume Daily? Finally, maximizing the health benefits of a meal is as simple as adding in some organic veggies as well as your favorite herbs and spices. These provide valuable micronutrients and antioxidants that are powerful for improving anti-inflammatory activity in the body. You will see how I use these principles to design all of my recipes as you look through these. 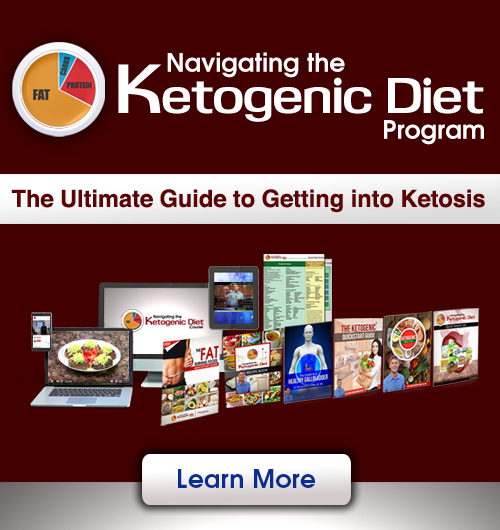 Now that you understand the many benefits of a ketogenic diet, time for inspiration! These are some of my personal favorites along with some of the most requested keto main courses on the internet. Feel free to add or take away what you like and share the result so everyone can feel empowered to make healthy ketogenic meals! Who doesn’t love pizza? Many people are unhappy with the thought of not being able to eat pizza on a ketogenic diet. It is high in carbs and usually made with gluten-containing flour that is destructive to the gut and brain. This alternative is made with coconut flour which is actually keto-friendly and high in fiber! After this, all you need is some organic low-carb tomato sauce, raw grass-fed cheese, your favorite veggies, and herbs. I love making this with olives, fresh basil, roasted broccoli, and some beef salami from US Wellness Meats. Tacos, another delicious comfort food that just won’t cut it on a ketogenic diet. These keto taco lettuce wraps are delicious and will leave you burning fat instead of sawing logs after you eat them. Tacos are a great way to load up on veggies and healthy fats. Use this chunky salsa recipe and this superfood guacamole to add a massive boost of nutrients. All you need is your clean protein of choice, some pastured sour cream and cheese to top it off! Keeping with the Mexican vibe, chicken fajita salad is another keto main course that is sure to please. Organic chicken, lots of veggies, and some avocado oil ranch dressing are all you need. You can even drizzle some MCT oil over this one to support ketone formation! This one is amazing topped with some guacamole for extra healthy fats to keep you full! Most burgers are not keto friendly because of the bun. Simple solution right? Just take away the bun! That’s step one. In this recipe we take the burger to a whole other level by adding in kale, ginger, garlic, and bell peppers. Topped with some avocado, these are the perfect keto main course. One of these burgers contains 40 grams of fat, 26 grams of protein, and only 3 net carbs! Bell peppers are a great source of vitamin c and even better vessel for stuffing a bunch of healthy goodies into! All you need are one or maybe two of these and you’ve got yourself a complete meal. With 28 grams of protein and 26 grams of fat, these are a surprisingly hearty keto main course. These do contain roughly 14 carbs per stuffed pepper, so it may be a good idea to measure ketones before and after the meal to see how it affects you. You can always drizzle a bit of MCT oil into the pepper for a boost of ketones and to keep blood sugar stable! Fried foods are definitely not something you want to go for on a ketogenic diet. They are often battered in wheat flour, deep fried in inflammatory vegetable oils, and made with low-quality meat from abused animals. This coconut fried chicken is a keto main course that you can feel good about. For the batter you start with coconut flour and plenty of antioxidant-rich herbs. Next, they are fried gently in coconut oil before being placed into the oven to bake for 10-15 minutes, super simple. Of course, be sure to use pastured chicken! Combine these with a Keto Side Dish, and you’re set for dinner! Some people want a keto pizza but are not a big fan of the coconut flour. I get great feedback with these cauliflower crust mini pizzas! This is a great pizza alternative without all the grains and inflammatory fats commonly used. This keto main course can be a complete meal, just load up your pizzas with organic veggies, herbs, and some protein of your choice. Curry is loaded with anti-inflammatory spices that are warming and great for digestion. This keto main course is an excellent one-pot meal that you can add whatever meat you’d like to. As it stands, each ¾ cup has 27 grams of fat and only 6 grams of carbs. Add in some pastured chicken for protein to make it complete. If you have consistent digestive issues, this could be a go-to option. This one is also great in colder months! This is a nutrient dense and anti-inflammatory keto main course that takes less than an hour to make. This one is designed for the Instant Pot. I love using the instant pot because it makes cooking super simple and saves so much time. There many different ways to customize this one adding different vegetables, meats, etc. You can even omit the meat altogether and add in a few scoops of bone broth protein powder! This coconut lime salmon is amazing. It is loaded with omega 3 fats, antioxidants, and is the perfect keto main course. The combined nutrients make it powerfully anti-inflammatory, fat burning, and brain boosting. This one goes great with some brussels sprouts, garlic green beans, or zucchini noodles to make a complete meal! Sprouts are the baby versions of fully grown plants. What most people don’t know is that the sprouts of plants are incredibly dense sources of nutrients. Sprouts of broccoli, kale, radish, arugula, peas, etc. can be found in stores and they each have immense benefits. If you’re looking for a nutritional powerhouse, this super sprout salad has everything you need. I would highly recommend adding in some diced avocado to kick up the fat content and improve absorption of fat soluble compounds. Asian stir-fries are so simple and packed with flavor. Unfortunately they are typically served over noodles and cooked with oxidized oils or soy sauce and MSG. This version is super nutrient dense and is great served over zucchini noodles or cauliflower rice. Instead of soy sauce, get yourself a bottle of coconut aminos and keep that on hand. They have a similar flavor and are much healthier! This recipe is also great for making ahead of time and freezing. Just heat it up in a pan and you’re set! Beef with broccoli is a super simple meal that is also very nutritious. Adding in plenty of grass-fed butter makes it keto friendly and great for burning fat! All you have to do is throw the beef and seasonings into the crockpot and let it cook on low for 6-8 hours. About 30 minutes to an hour before serving, throw in the broccoli and you’re ready to eat! Beef is one of the most nutritious meats and broccoli is loaded with powerful detoxifying agents that help the liver get rid of excess estrogen in the body. 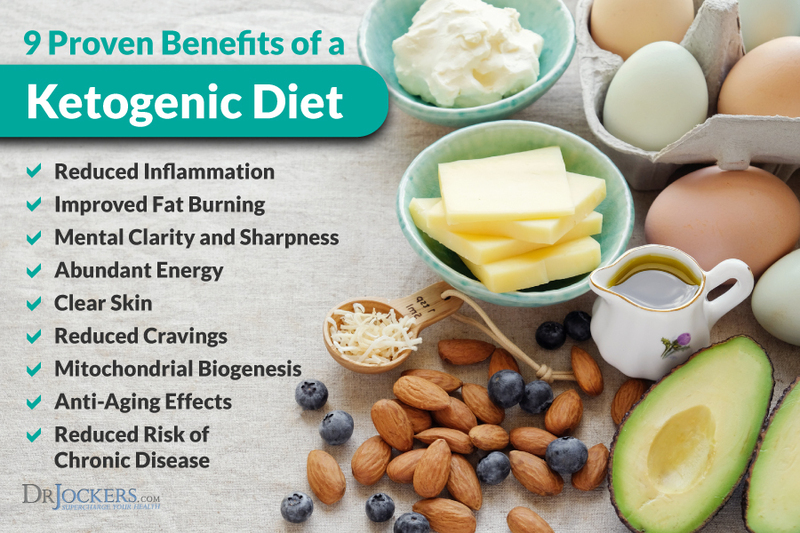 Having high levels of estrogenic compounds in the body could be a potential reason why some people have a hard time losing weight on a Ketogenic diet! Chicken soup is everyone’s favorite sick food. This version with avocado is about to become one of your favorite anytime keto main courses! It is so easy to make, warming to the soul, and of course keto friendly. 2 cups contains 39 grams of protein, 25 grams of fat, and 10 net carbs. This is a hearty soup full of healthy fats and healing nutrition. Substitute the chicken broth for bone broth for added benefits! Pad Thai has the potential to be a powerfully nutritious meal. Take away the noodles, peanuts, and artificial additives, and we’ve devised the perfect keto pad Thai! This one uses zucchini noodles, avocado oil, and replaces peanuts with sprouted sunflower seeds! Load it up with broccoli, and some homemade almond butter pad Thai sauce. Add in a bit of pastured chicken to increase the protein content. Fajitas are so tasty and actually pretty nutritious! The main issue I have is the tortillas and the cooking oil are often both very inflammatory for the body. This recipe uses grain-free coconut turmeric wraps that are keto friendly! In this recipe there are plenty of veggies and anti-inflammatory spices. Top it off with some creamy lemon superfood guacamole and you’ve got a very satisfying meal. For a lighter option, raw pesto pasta can be a great cleansing keto main course. It is as simple as pesto and raw zucchini noodles. This recipe is great as a low-protein, vegan friendly, and fiber rich meal to cleanse out the digestive tract. Oftentimes, I will lower my protein intake for a few days at a time. Lowering protein intake for short periods of time inhibits the mTOR pathway. Research has linked over activation of mTOR with more aggressive cancers. Luckily fasting, ketogenic nutrition, and protein restriction all help to keep it under control. Following a ketogenic lifestyle has powerful implications for your health and longevity. With lower inflammation, more energy, and reduced risk of chronic disease, it adds quality to your years on earth. Beginning this nutrition plan can be overwhelming. This is why I have put in years of research and development to put together my Navigating the Ketogenic Diet program. It is an online course with lifetime access that features recipes, a meal plan, shopping guide and numerous guides for improving your life. 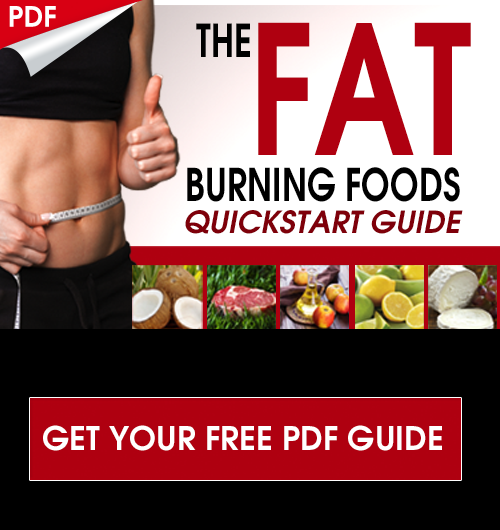 This program even features a ketogenic snack guide, guide to a healthy gallbladder, and some of my favorite ketogenic diet hacks for optimal performance! Most keto stuff has eggs in it . i am allergic to eggs. it is so annoying.. how the recipes and keto cookbooks are pointless to me. Yes that is true, but we have hundreds of recipes on our site that don’t have eggs. So there are plenty of great recipes and foods you can still consume! Thank you for these great looking Keto recipes! I am just starting to learn about Keto and have been wondering what meals would look like. This sounds doable! That is great to hear Beth! !